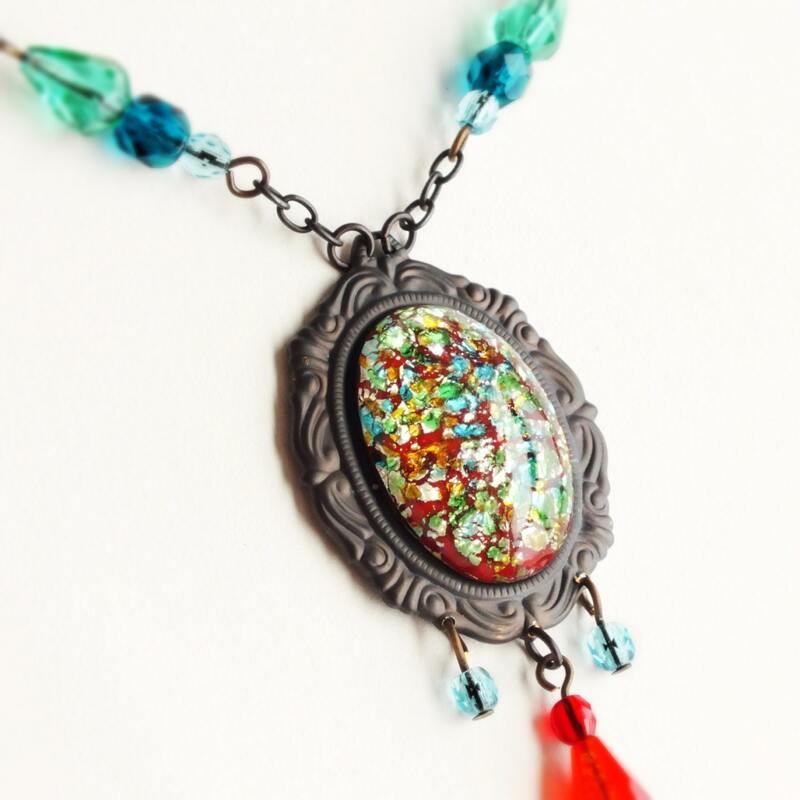 Large handmade red opal necklace with vintage red and blue glass pendant. 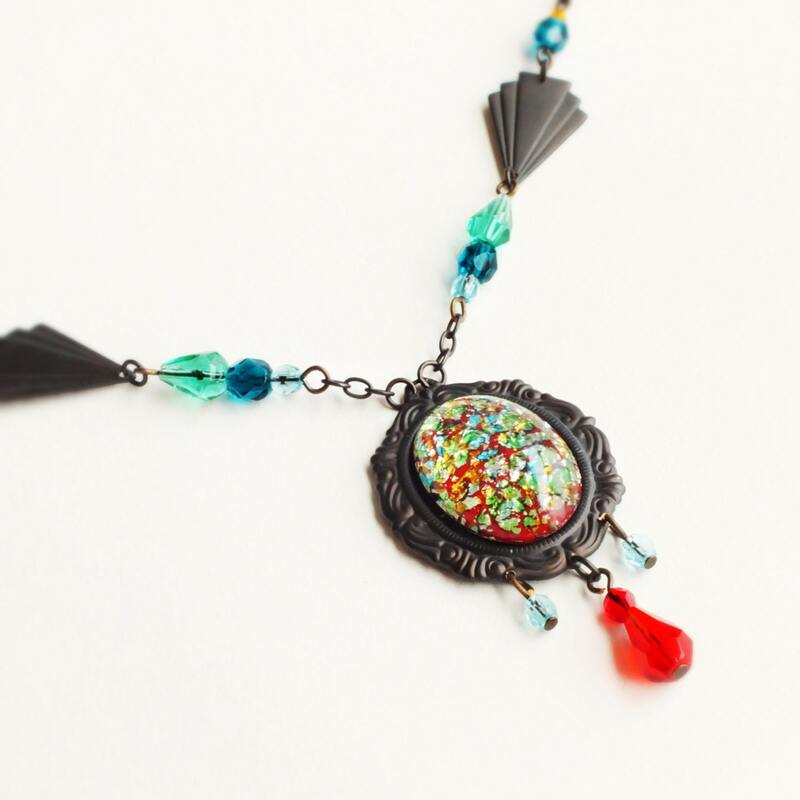 Genuine vintage cabochon and beads. 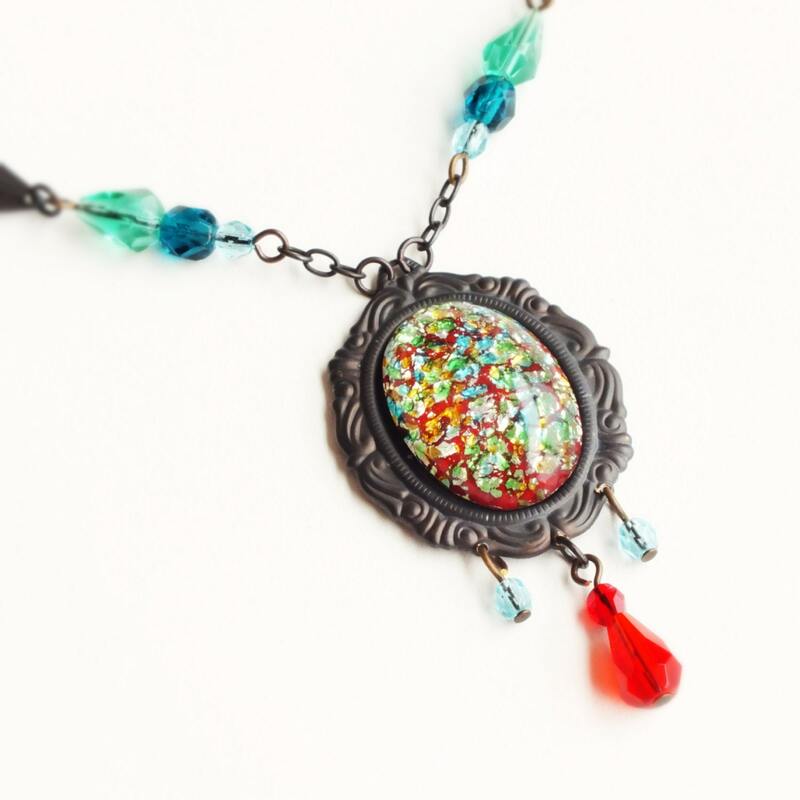 Made with a large *stunning* vintage red domed glass cabochon embedded with both silver foil and floating hints of blue, yellow and green glass. 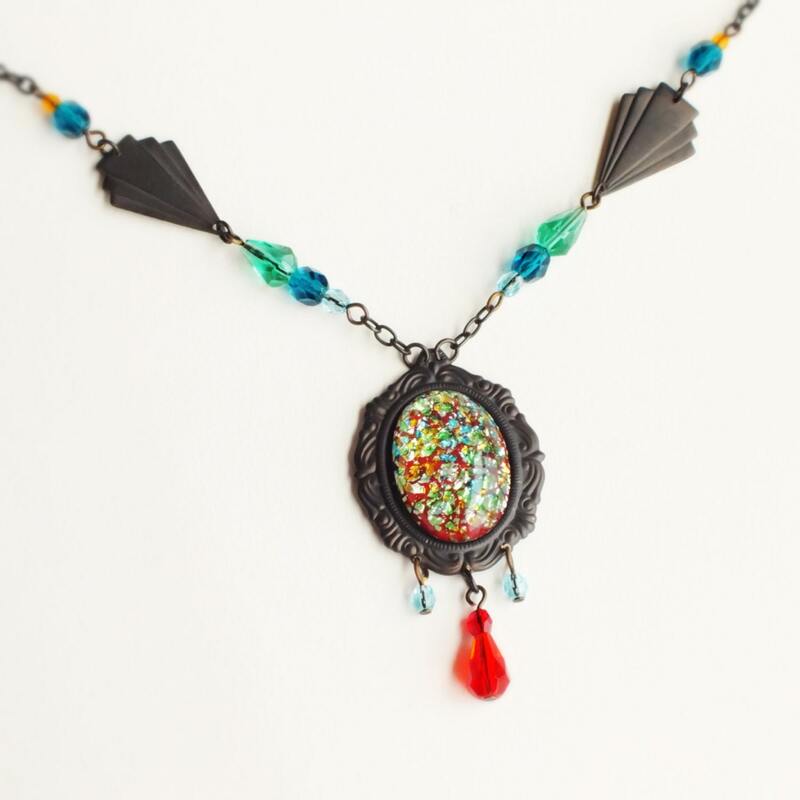 Set in a dark matte brass Rococo setting adorned with red and blue vintage glass dangles. 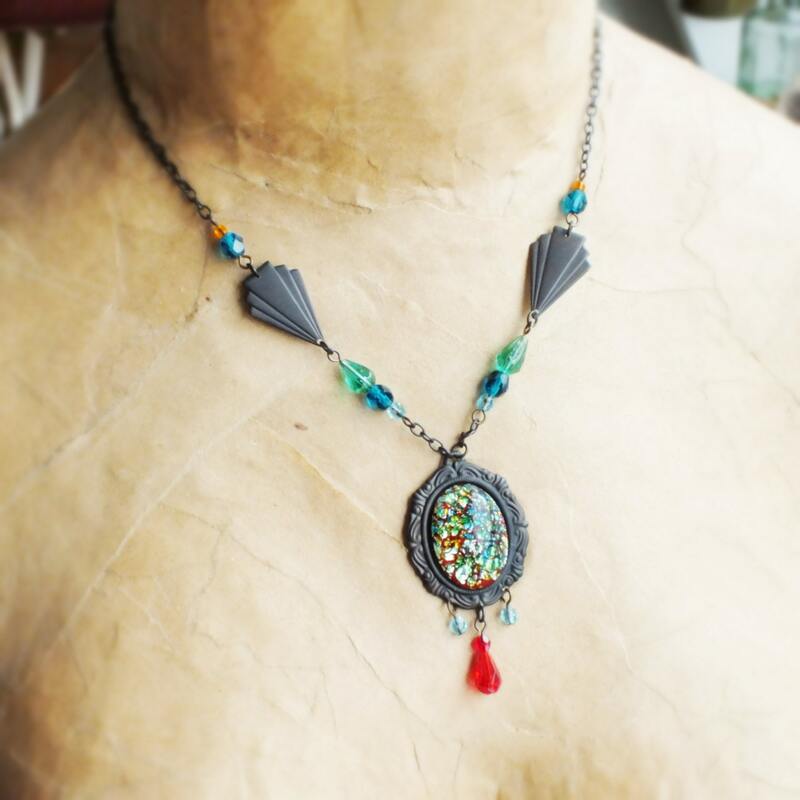 Hung from an antiqued brass chain of weathered brass Art Deco fans and a mix of new and vintage glass beads.